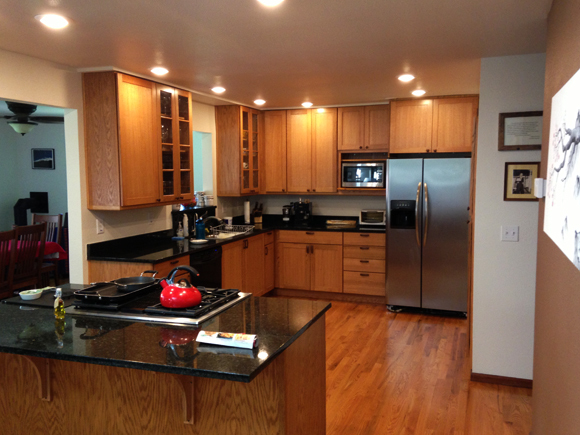 This kitchen remodel was a drastic transformation from a tight, dark, and poorly lit work space. 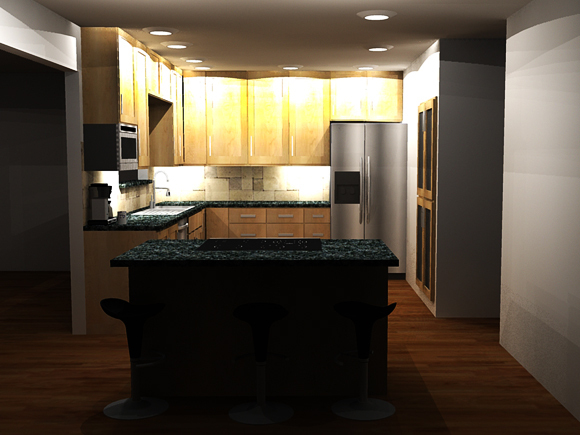 The design is intended to open the living space and bring the party to the cook. 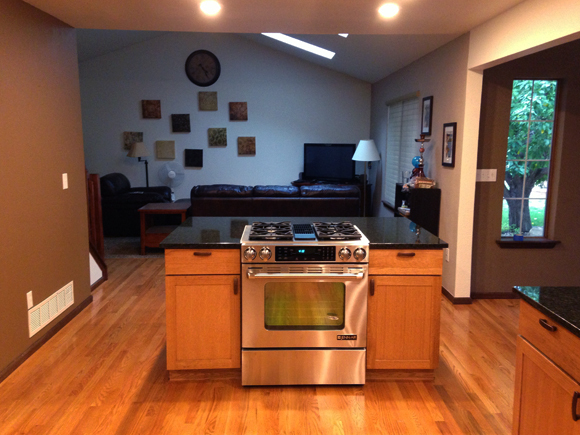 The new kitchen features a gas range with downdraft vent, touch operated faucet in a three bowl sink, Uba Tuba stone counters, and LED fixtures both in the ceiling and under cabinet. 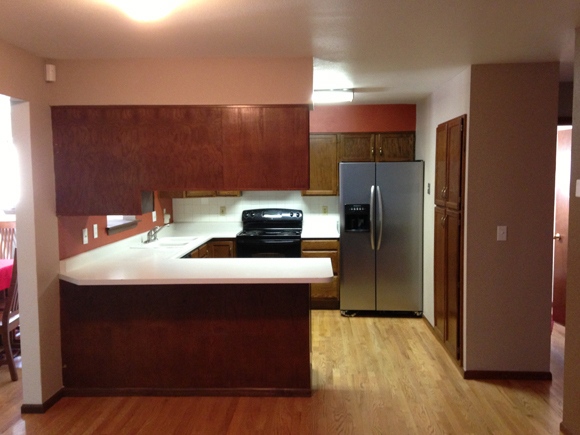 This project was the ultimate surprise because the residents were traveling for three weeks and arrived home to a completely new kitchen.